The Avon finish copper bath is a compact area for bathing with a superior sheen. It has a classic vintage exterior and a beautifully polished nickel interior. Place yourself within its sumptuous surrounds, the raw copper exterior patina giving you that protective outer casing. The nickel interior gives an industrial feel, perfectly in keeping with the on-trend minimalist yet classic look. 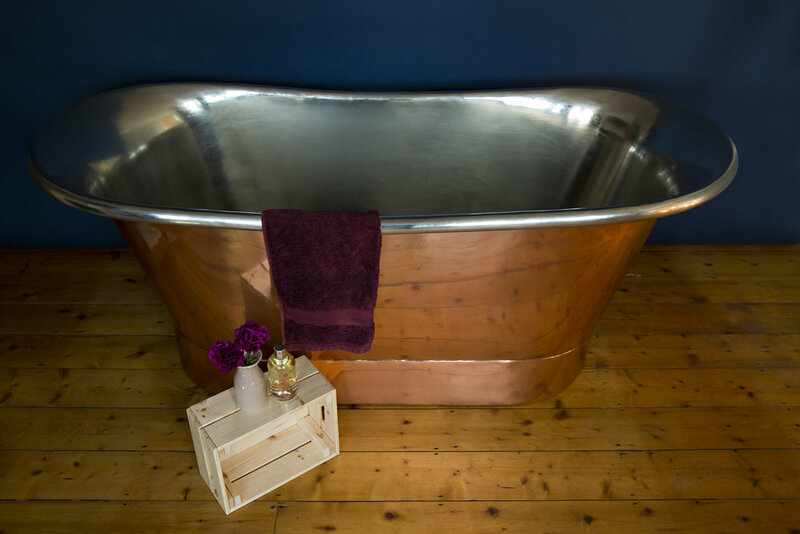 However, there’s nothing industrial about this bath, it’s soft sheen giving you that warm glow as you bathe within its beautifully crafted interior. 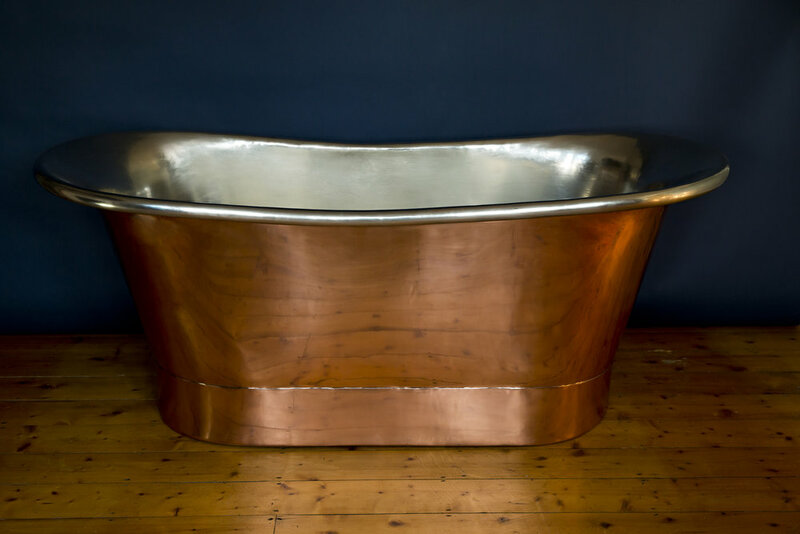 Our Avon copper bath is made using high gauge copper, hand beaten, polished and sealed so it has that desirable hand finished look. They’re standard size, which is (l)1700mm x (w) 705mm x (h) 710. Although they can be made to any size if required. If the bath you want is not in stock and you don’t want the standard, we can create one specifically to your requirements, taking around 8 weeks to manufacture and deliver.